PHUKET: Faced with thousands of unresolved cases, Phuket Provincial Court on Tuesday launched a “night court” service in an effort to reduce the backlog. Phuket Court Acting Chief Justice Audthakarn Foojaroen and fellow justices yesterday held a press conference at the courthouse to announce the night court hours, which run Monday to Friday from 4:30pm to 8:30pm. The night court will hear two civil and petty criminal cases per day, and as many as 20 consumer complaint cases. Four mediators will be on duty to try and settle disputes before they reach the courtroom floor, Justice Audthakarn said. The Court will also begin hearing 10 cases daily on Saturdays and Sundays, starting this weekend. These will include criminal cases, as well as civil cases involving property and inheritance disputes. The Court will hear the first five cases in a morning session starting at 9am, then adjourn until the afternoon session that begins at 1:30pm. The unprecedented move stems from the fact that although Phuket already has the highest per capita litigation rate of any province in the south of Thailand, the increase in the number of new cases continues to grow. The 20 judges are already handling from 8,000 to 9,000 cases annually, but still face a backlog of about 3,000 unsettled cases. 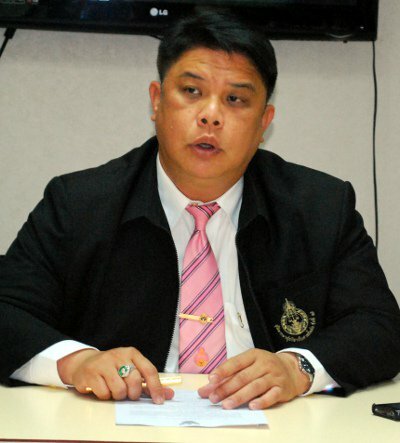 “Phuket Provincial Court is one of the busiest courts in Southern Thailand. Most litigation involves criminal, consumer cases and land dispute cases. I believe we will continue to have more land dispute cases come in since land prices in Phuket continue to increase,” Justice Audthakarn said. Justice Worawong Audcharawongchai, who heads the mediation section, said every case needs to go through the mediation process first. “It helps reduce the number of cases the Court needs to hear. Some 90 per cent of consumer complaint cases are successfully mediated, but only about 10 per cent of cases involving property and other assets are settled this way,” said Justice Worawong. Justice Audthakarn said the expanded hours will make it easier for parties with busy daytime schedules to find the time to reach mediated settlements.